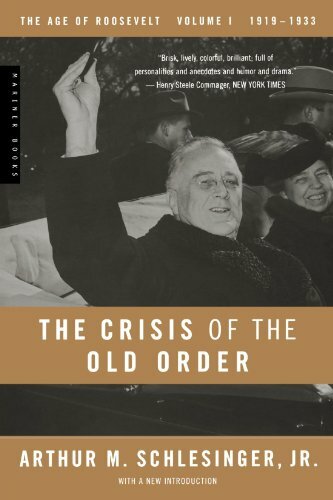 4 The Crisis of the Old Order by Arthur M. Schlesinger, Jr.
H W Brands is the bestselling author of 22 books, including two Pulitzer Prize finalists. He has written biographies of Presidents Andrew Jackson, Theodore Roosevelt, Woodrow Wilson, Franklin Roosevelt, Dwight Eisenhower, and Lyndon Johnson. Professor Brands is a graduate of Stanford and received his doctorate from the University of Texas at Austin, where he currently teaches. You were among the distinguished historians invited to advise President Obama during his first year in office. Do you believe that the stories of past presidencies contain clues to solving the problems of the present? As a historian, I think that being aware of what’s occurred in the past—what’s worked in the past, what hasn’t worked in the past—does provide some guidance for the present. 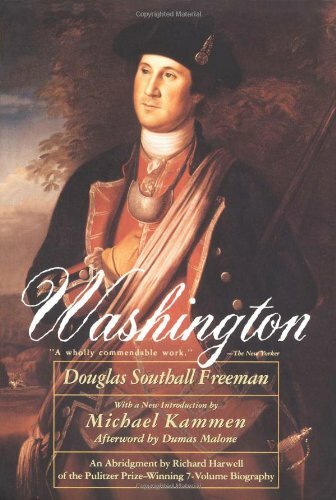 For your first book choice, you picked Washington, by Douglas Freeman. Why does this work make your list? 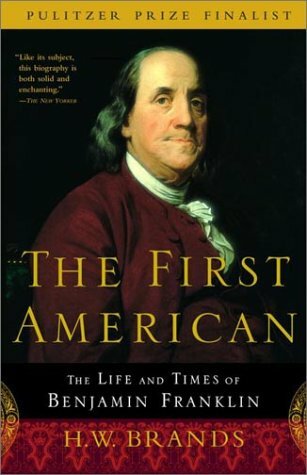 It’s the closest thing we have to a definitive account of Washington’s life. Freeman was a fan—there is no doubt about that. He was a Virginian, and he identified with the greatest Virginian in history. It was a labour of love. Freeman was a full-time journalist; he was the editor of a paper in Richmond, VA. Nonetheless, he found time to write seven volumes on Washington. I won’t say that the facts speak entirely for themselves in Freeman’s work; he marshals the facts, but he mainly writes from the perspective that the more we know, the more we’ll understand the great man. If you have the time and the leisure, it’s the best way to get to know Washington. The first volume was published in 1948. How has our understanding of Washington evolved since then? Freeman wrote in the age of segregation. He didn’t subject the fact that Washington was a slaveholder to the kind of scrutiny that historians do today. The next book you selected was the first scholarly biography written about our seventh president, Andrew Jackson—and it was published just 15 years after his death. 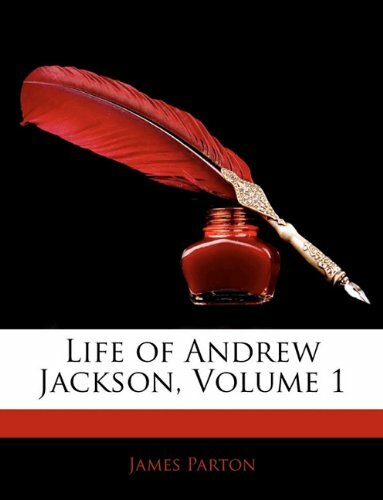 Why did you choose this Life of Andrew Jackson by James Parton? Parton was the great American biographer of the 19th century, and Jackson was his first important biography. President Jackson was the most popular figure of the 19th century. He was even more popular than Abraham Lincoln, who was beloved in the North and hated in the South. Jackson was the successor to George Washington in the eyes of three generations of Americans. Understanding the era of Jackson is absolutely essential to understanding what it meant for America to become a democratic nation. 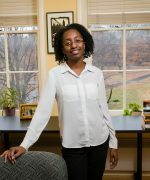 Parton’s is one of the first biographies that combined scholarly research and the journalist’s technique of interviewing. Parton wrote so close to Jackson’s lifetime that he was able to talk to people—he was able to refute and confirm the myths about the man. He was able to supplement the written record with what remained of the oral record. Those who have written about Jackson from a far greater remove have to envy that opportunity. One of the hardest things for a historian to do is to get a sense of the physical presence of their subjects, and the kind of impact they had on the people around them. Parton was able to capture all that, because he was roughly of the same era as Jackson. Unfortunately, these days Parton is forgotten. Although he wrote several wonderful biographies, few people have ever heard of him. Many perceive history as a cumulative venture. We know more about Jackson, for example, than Parton did, because we learn from his work, and the work of everyone who has written about Jackson since. When it comes to nonfiction, many think: The newer the better. I don’t think that’s true. We can forget as much as we accumulate. Works of nonfiction almost always have a short shelf life. No one reads Parton anymore, but everyone still reads Tolstoy. Works of fiction can last forever because they’re thought to be works of an individual imagination, whereas works of nonfiction labour under the misapprehension that they merely encapsulate facts. Next is Abraham Lincoln: A History. Why did you choose this 10-volume work? Another labour of love, it was written by two young men who adored Abraham Lincoln. John Nicolay was Lincoln’s personal secretary. John Hay was Nicolay’s assistant. They were with Lincoln in the White House. They lived through—and were at the centre of—the Civil War. When Lincoln was assassinated, they believed the greatest man in American history had been taken from the American people. This was written in an era before presidents’ files were classified for security reasons. 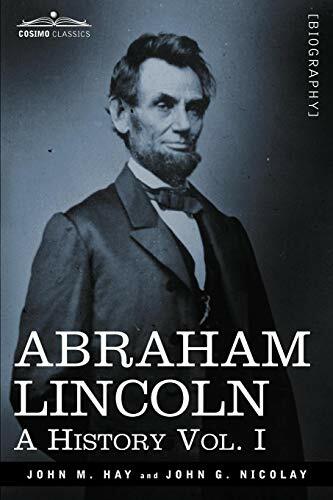 Nicolay and Hay were the secretaries; they had the records, and they used those records to write this very detailed story of Lincoln’s life and presidency. Usually biographers don’t have an inside view, but Hay and Nicolay did, so they could supplement what Lincoln’s papers conveyed with their own memories of the great man. Hay in particular had a literary flair. There is some question as to whether Hay composed some of Lincoln’s most admired letters. Usually works this long don’t evoke admiration for their fluency—just their thoroughness. But in this case, the diligence is there and so is the literary quality. And a lot of it consists of quotes from Lincoln, who himself was a wonderful writer. So you get the voice of the subject, and then you get the background from people who were there. Their work really remains unsurpassed. Has our understanding of Lincoln changed a lot since this biography was published in 1890? People who write about Lincoln these days don’t cast him in quite the same heroic mold. To some extent, this is to the good—if you really want to understand someone, don’t start out by thinking he’s a hero. On the other hand, what Hay and Nicolay lacked in objectivity, they made up for in other ways. There is always a trade-off in writing biographies. The closer you are to the subject, the more he or she means to you emotionally. Emotion can make a biography more compelling, but it’s often at the expense of objectivity. On the other hand, while objectivity is valuable, it can drain a work of the sense of immediacy that you get when the biographer is close to the subject. 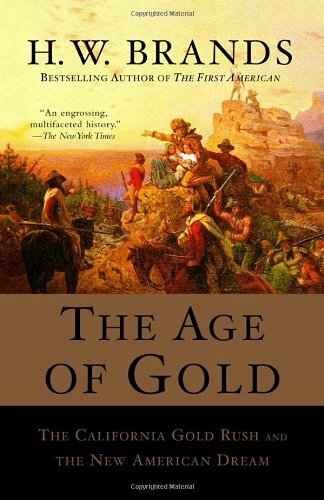 Let’s step into the 20th century with The Age of Roosevelt, by Arthur Schlesinger, Jr. This is another one that was written by a fan. 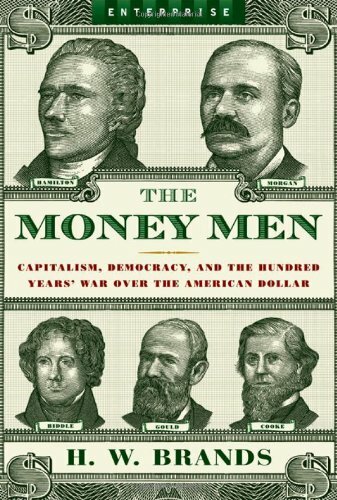 Schlesinger was convinced that the New Deal saved American capitalism, and he wanted to tell the story. Schlesinger was probably the best storyteller among the great historians of the mid-20th century. He had an eye for detail and a telling anecdote. He could make a point without beating readers over the head with it. He also had a really good sense of politics. His Age of Roosevelt is much more than a biography; it’s really a story of FDR’s political milieu. Schlesinger crafted paragraph-long portraits of people that are quite memorable and that captured their essence. If you want to know about the major political figures of the time, Schlesinger is the first place to look. 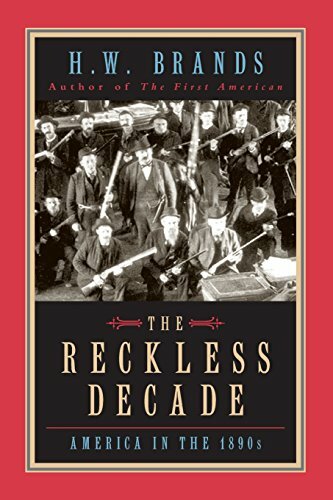 This work won the Bancroft and Francis Parkman prizes, but it is often overlooked when others discuss Schlesinger’s impact on American history. Why? In part because it’s unfinished. Schlesinger only gets the reader up to about midway through Roosevelt’s first term. A lot of people, for a long time, thought that Schlesinger was going to come back and complete it, but he got distracted when he was offered a position in the Kennedy administration, and he never returned to Roosevelt. Let’s move on to another unfinished work: The Years of Lyndon Johnson. Why is Robert Caro’s incomplete work nevertheless so vital? Caro is another master storyteller. Like Parton, Caro supplements the written record with fresh evidence. He was a journalist. He interviewed all sorts of people and got information on Johnson that others hadn’t uncovered. He tells a great, gripping story. 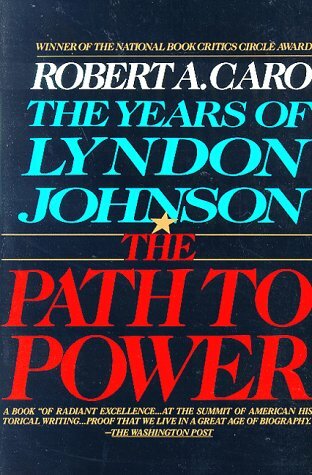 One of his volumes on Lyndon Johnson is called The Path to Power. Caro is fascinated by how people acquire power, what they use power to accomplish, and how power changes them. I’m pretty sure Caro came to Texas thinking he would write one volume, but he realised that there was an epic tale to tell, and he stuck with it. When the next volume is completed, I’m sure it will be seen as the masterwork on Johnson. But each volume is terrific in its own right. Between Caro’s second and third volumes, you wrote a reassessment of Johnson’s foreign policy as president. It’s as revisionist as history gets. Can you crystallise the main point of your book for us? Johnson did a pretty good job in guiding American foreign policy, except for Vietnam. Johnson kept the NATO alliance together when it was under substantial strain. He managed to avoid major crises with the Soviet Union. He helped put India on a path to self-sufficiency. He prevented a war between Greece and Turkey over the island of Cyprus. And he handled the Six-Day War between Israel and its Arab neighbours as well as any American president could have handled it. So as I say, a lot of bad stuff could have happened during the 1960s, but didn’t. One of the reasons is that Johnson handled most aspects of foreign policy adeptly. All five works you’ve chosen have at least three volumes—and one has 10. Must a biography be voluminous to paint a full picture of a presidency? To paint a full picture? Yes. But to paint a compelling picture? I have to say no, because I’ve committed a few one-volumes myself. As much as I value these multi-volume works, I do think you can tell a great story between the two covers of one book. What makes for a great presidential biography? You have to delve into the personal side of the president in a way that gets at the character of the individual—but you also have to get the wider context right. 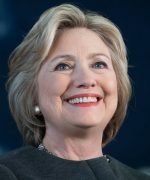 Presidential biographies are generally written by historians or by journalists. The journalists tend to get the personal side right; the historians tend to get the historical side right. The best presidential biographies get both right—the life and the times. How are you celebrating Presidents Day this year? By working on a biography of Ulysses S Grant.